Thank you for supporting the Paris Spelling Bee! As we announced at the 2013 Oral Finals, we are taking a year off from organizing our city-wide competition in 2014. However, we will continue to organize spelling bee-related activities at the American Library in Paris. Upcoming events: The Spelling Bee Hornet for Teens on Friday November 15 at 19h00-21h00. Click here to reserve your spot. Language Comes to Life: All about prefixes and suffixes, Saturday January 11, Ages 8-12. More activities will include: Spelling Hornet, part 2, for ALP’s Friday Teen Night and Mock Spelling Bee for ages 8-13, dates to be announced. Stay tuned for more updates. Here are some highlights from past Paris Spelling Bee events. We will update this slide show with more pictures in the weeks ahead. 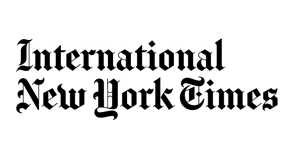 Once again, we would like to thank Starbucks, The International Herald Tribune, The American University of Paris and our friends and collaborators at the American Library in Paris for their support and sponsorship. Heartfelt thanks to all the students who have braved the Paris Spelling Bee, the schools for getting the word out, and to all the families who have returned to the Bee year after year. Thank you to all the organizers and volunteers for devoting so much of your time and making such a special contribution to the community. Special thanks to the key Bee-team: Ashley B. Miller, Naida Culshaw; Kim Siew Ngoh; Pauline Lemasson, Jude Smith Matisse, Amy O’Hara, Karen Simpson, Amy Bereiter, Bettina de Catalogne, and Janet Sahin, in the US. For questions, to help as a volunteer, or to be added to our email updates, please contact: parisfrancespellingbee@gmail.com.